Get to know Erik Miller, Executive Vice President, and learn about his role at the KYZEN Corporation. R. Erik Miller has a passion for science, cleaning technologies and global industry that is evidenced in his accomplished background. It reads like a series of successes built on persistence, dedication and care for customers. Erik is also the leading global precision cleaning process expert. His devotion to the design, implementation and technical support of advanced cleaning processes has led to many personal accolades and exceptional sales growth for KYZEN’s Asia markets over the past 15 years. 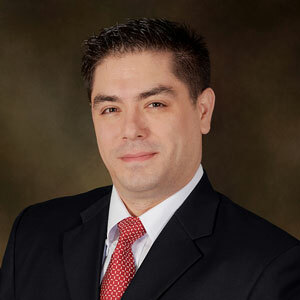 And, more recently, Erik was named Vice President for all Global sales. Erik started his career with KYZEN in the USA and is now based in Thailand where he leads our team of highly credentialed, global, cleaning science and service experts. He is directly involved in the establishment and launch of KYZEN’s China manufacturing facility. Since graduating from Northwest Nazarene University in Chemistry, Erik has dedicated his more than 15-year career in the Electronics/Semiconductor industries.